Humans are not content to simply live through their experiences. Instead, we like to learn lessons from our experiences, and pass these lessons on to those around us. I've personally given a lot of advice based on what I've gone through in life, and I've certainly received a lot of advice from others. Some of what works for others also works for me. When I moved to New York, people who'd lived here before told me to move quickly on an apartment because real estate goes fast here, and that it's often just as fast to take the subway as it is to take a taxi. These pieces of advice had worked for them, and I'm here to tell you they worked for me. But that isn't always the case. I've been subjected to some less-than-appropriate advice given with only the best intentions. I know I'm not alone in this, which is both a sweet and disappointing realization. Someone once told me that the best way to make friends in college is to go to parties and just meet people. This technique definitely didn't work for me, but it had worked for this person, and they'd just been trying to help me however they could. Sometimes what works for us is influenced by our own personal strengths and shortcomings; sometimes it's influenced by our environment; sometimes it's influenced by how and when we act. The truth is, what works for one person won't necessarily work for someone else. 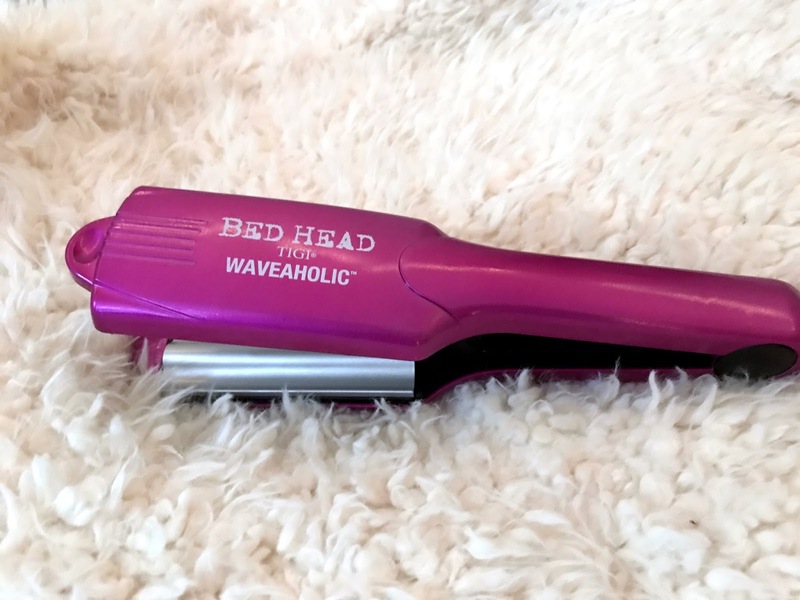 Take, for example, this Bed Head Waveaholic™ 2" Tourmaline Ceramic Waver. I was sent this waver by Bed Head, a brand I've worked with before and that I was eager to work with again. They picked this tool for me based on how I said I like to wear my hair. My roommate actually has the same tool, and loves it because it can replicate her natural curls without her having to wet her hair. The product promises "beach house party-ready" waves, minus the frizz and plus some serious shine. Bed Head prides itself on creating products, whether they be hot tools, gels, or sprays, that empower the user to be bold and creative in their hairstyle. They're all about helping you find and maintain your personal style, all the while encouraging you to make a statement. I popped the tool out of the box and starting watching hair tutorials that used Bed Head wavers while I waited for it to heat up. The waver got really hot (400 degrees Fahrenheit hot) really quickly, but I'd still been able to watch as a couple demonstrators showed how to use a Bed Head waver to achieve perfect day-after waves. So, all signs pointed towards this product helping me achieve the wavy hair of my dreams. It was Bed Head approved, internet approved, and roommate approved. I put the product to my hair, ready to make some serious waves. I can't say I didn't make some serious waves. In fact, I made some very VERY serious waves. The waves were too serious, if I'm being honest with you. I looked in the mirror and struggled not to frown. This was not the look I'd thought I'd get. I'd used the tool exactly as Bed Head had told me to: I started at the roots, lightly clamping a small section of hair between the barrels, and I held it for a few seconds before moving down the section. I'd modeled my technique off of that used by the the tutorials online. I must have done something wrong, I told myself, and I straightened my hair and started over. I found myself staring back at the same reflection that had been looking at me just an hour earlier. I tried shaking my hair, wetting it, running my fingers through it, anything to get different results. When it came down to it, though, this just wasn't the right tool for me. It was fully capable, having heated up quickly and having worked so well for the people on the internet and my roommate, but I think my hair is too short and the strands are too thin for it to have had the desired effect. Just like much of the advice I've received in life that hasn't worked for me, this tool was still good; it just wasn't for me. It's okay to admit when something isn't working for you, even if everything indicates that it should. Once you've admitted it doesn't work, you're able to move on and find something that DOES work for you... Like maybe the Bed Head product I'll get in the gift bag at College Fashion Week this weekend. 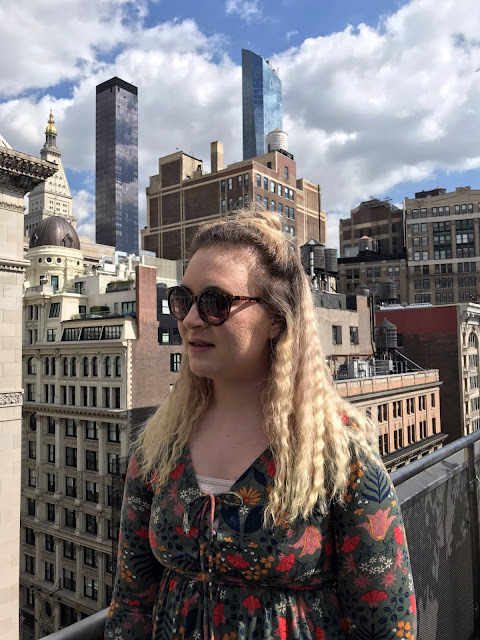 The day I published this post, my friend Natalie said she'd been dying to try a waver like the one I'd used in this post. So, I let her the Bed Head Waveaholic Waver. She showed up at work the next day totally rocking these casual, tight waves. The look didn't work for me, but it sure as hell works for her. This post is sponsored by Bed Head Styling and Her Campus Media. All opinions are my own. Thank you for supporting the brands that make Broke & Fabulous possible!